Posted October 12, 2017 by Tyler J. Smith & filed under Success Stories. Several years ago, our client’s ex-husband and daughter obtained protection orders. They used these orders to restrict our client’s activities and make various complaints to the police about perceived violations. 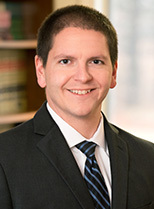 In 2016, Attorneys Gene Libby and Tyler Smith won an acquittal for the client with regard to one of these complaints – that the client had given her son a chocolate bunny so that the son could give his sister an Easter gift. In October 2017, Attorney Smith successfully defended the client against motions to have the protection orders extended for another two years. Key to the defense was testimony from the ex-husband that he feared our client and would always stay far away from her during their son’s sporting events. After locking the ex-husband into his testimony at the hearing, Attorney Smith introduced a photograph showing the ex-husband clearly posing just a few feet behind our client when the client and her son were having a picture taken. The Court found that the photograph raised credibility questions about whether the ex-husband was really “in fear” of our client and rejected his testimony in this regard. The Court likewise concluded that any fear the daughter had of our client was not objectively reasonable. The motions for extension of the protection orders were then denied.